At one time, pregnant women hid their changing bodies under maternity clothes with a tent-like silhouette. 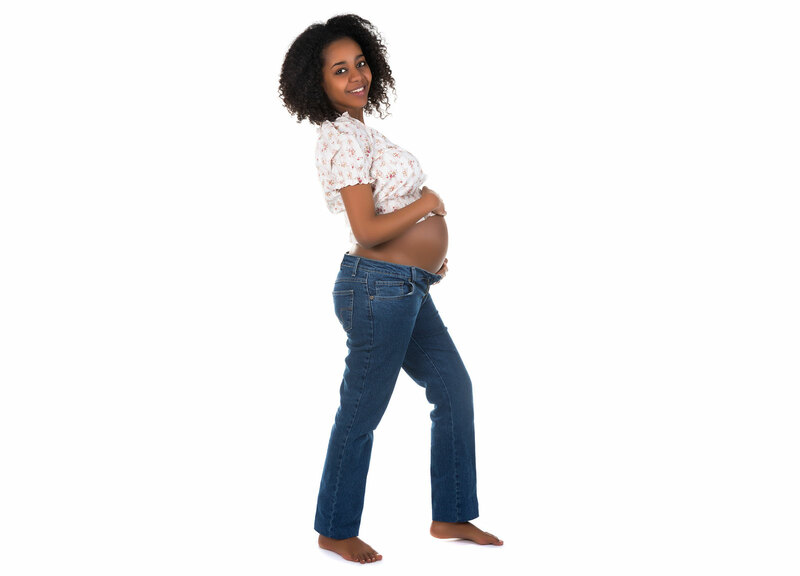 Now, expectant mothers are more willing to show off their changing silhouettes. This pregnant belly art gallery will show you some examples of how women are celebrating their shape. Women may carry their babies high or low, but the silhouette of a pregnant woman is still fascinating. Pregnant belly art can be very beautiful with clean lines and a delicate pattern. A woman's partner can paint her belly as a way of being more involved in the pregnancy. Having an older child paint his or her mother's pregnant belly is a way to make them part of the process of welcoming a new brother or sister into the family. Pregnant belly art can include bold colors and an interesting pattern. Some women make a plaster cast of their pregnant belly to mark the occasion and remind them of what their pre-baby body looked like. Pregnant belly art acknowledges and celebrates this special time in a woman's life. We are reminded that we all entered the world after being nurtured by our mothers during pregnancy. To see more beautiful images of pregnant women, take a look at these artistic maternity photos.